GONE WITH THE WIND is without question one of the best known titles in American cinema and a landmark film unlike any other. The movie, which runs an astonishing 238 minutes, is a historical achievement at nearly every level, not only for its high end production value, impeccable performances and heartbreaking finale, but because the movie was the first Hollywood motion picture to go into general release as a “blockbuster”. When the Margaret Mitchell book was published, it unfurled like a fever across the country and despite its sympathetic confederate undertones, the Civil War set drama was and still is one of the best selling American novels of all time. 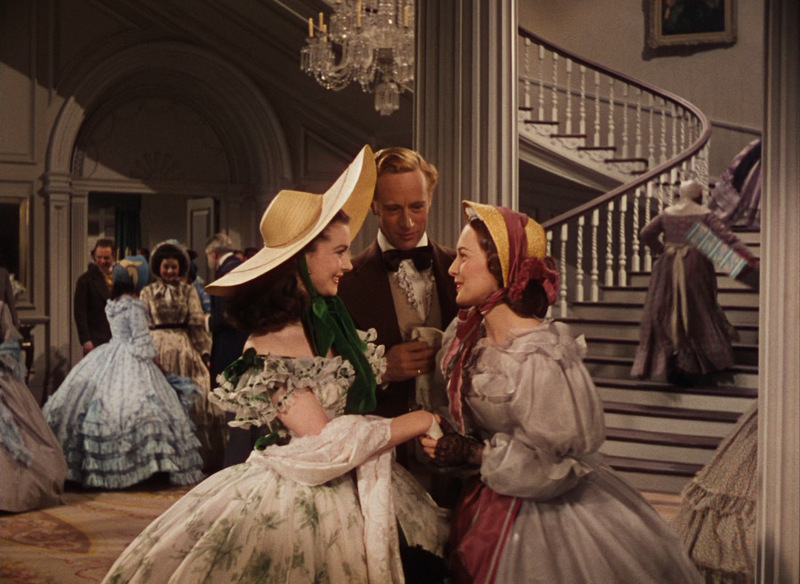 There was only one problem with the property, Gone With The Wind was considered, by every major film studio, to be completely un-adaptable when it came to the medium of motion picture film. Enter: David O. Selznick. Selznick bought the rights to make the film for $50,000 [us] one month after it was published, in July of 1936. Previously, all the major studios had declined on the material, thinking it was impossible to make a film that honored the source material. The production of Gone With The Wind teetered on the brink of existence from day one and didn’t let up at all until completion. 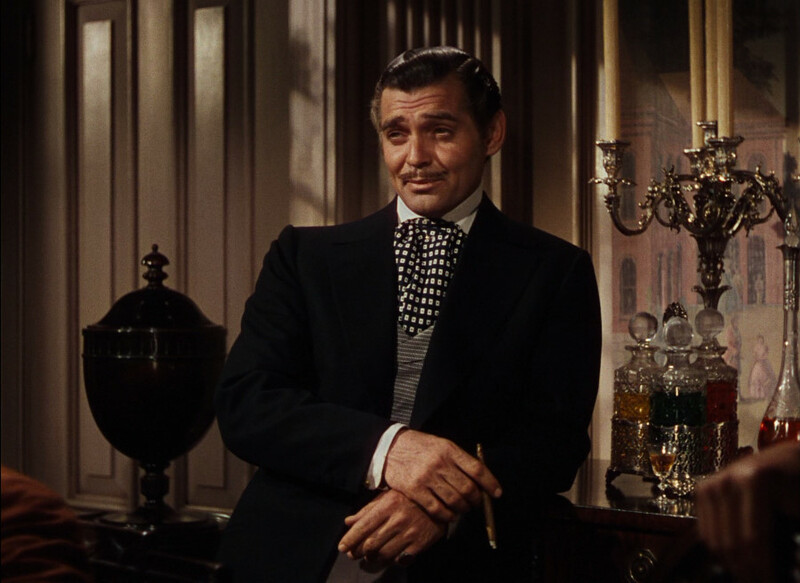 The film was in pre-production for two years as Selznick tried desperately to find the perfect cast and did so when he finally convinced Clark Gable to take on the lead male role of Rhett Butler. Gable did not want the part (in fact, no leading male actor in Hollywood wanted anything to do with the film) and had to be persuaded with incentive after incentive. 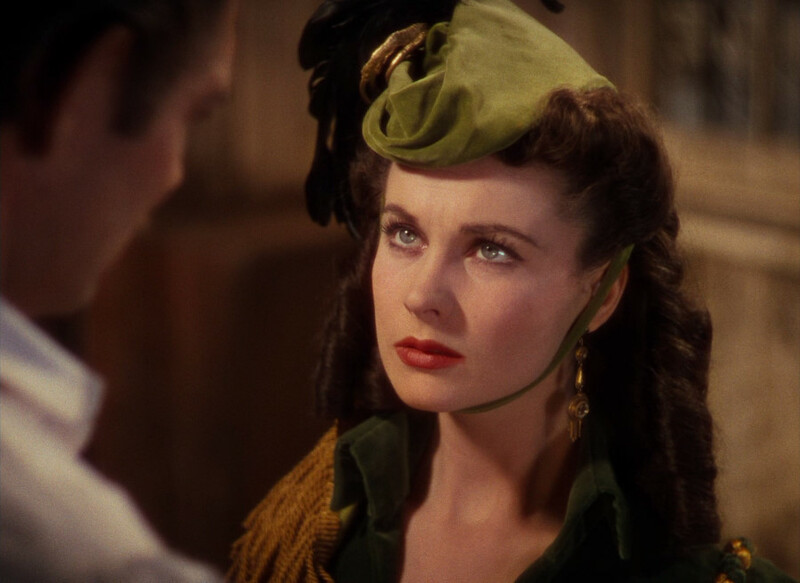 The lead character of Scarlett O’Hara would be played by British actress Vivien Leigh, who had previously obtained moderate success with films such as “A Yank At Oxford” and “Sidewalks of London”. The initial adaptation was made by screenwriter Sidney Howard, who previously collaborated with Selznick on “The Prisoner of Zenda”. However, because Selznick operated in a trial and error system of filmmaking, many re-writes were done throughout the course of production. Film historian Joanne Yeck wrote of the task: “reducing the intricacies of Gone with the Wind’s epic dimensions [is] — herculean.” Howard’s first draft of the script would have accounted for nearly six hours of run time and since Howard refused to come out to Los Angeles to work on the set, local writers were used for future revisions. The film includes some of the most epic scenes ever put on film, including the 1864 burning of Atlanta which was accomplished by filming the burning of old sets on the studio backlot. 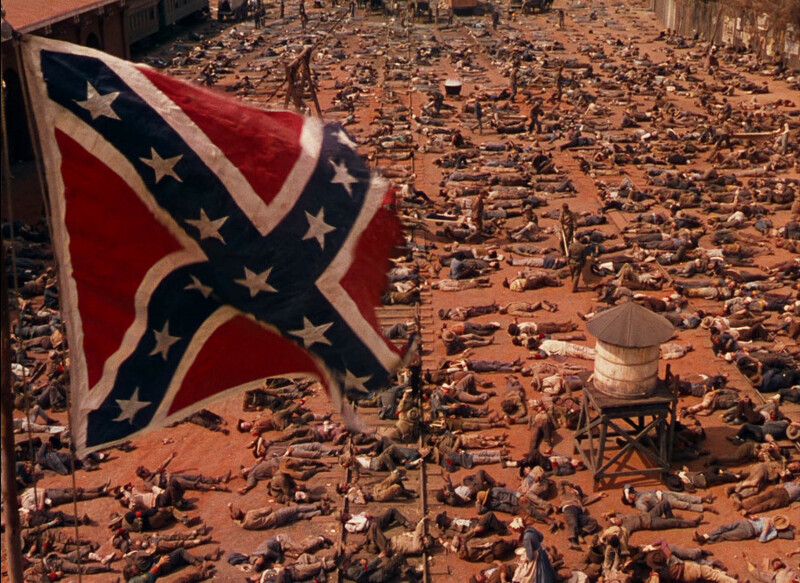 Hundreds of extras were used for an epic crane shot illustrating the death toll that resulted from the Battle of Atlanta. Although jaw dropping as it is heart breaking, some confederate veterans who were still alive when the film was released commented that had they had that many soldiers they might have won the war. Sometimes filmmakers over reach to get their point across. No harm, no foul. The film went through some major crew changes during the course of principal photography, including switching out of the director and cinematographer. Lee Garmes, who first began shooting the movie, had produced footage that the investors and Selnick agreed was too dark and so they replaced him with Ernest Haller, who worked closely with Technicolor’s Ray Rennahan. Although Garmes is responsible for the first third of the film, he did not receive credit on the final product. Director George Cukor, known for his ability to pull remarkable performances from some of Hollywood’s most legendary actresses, was replaced by Victor Fleming who had just come off from rescuing The Wizard of Oz. The cast was distraught with the removal of Cukor, but grew to appreciate Fleming’s talents as the production moved forward. On September 9, 1939 Selznick, his wife Irene, investor John Whitney and editor Hal Kern, drove for nearly two hours out to Riverside, California on one of the hottest days of the year. They had with them a four and half hour rough cut of the film, with a temporary music track from “The Prisoner of Zenda”, since Max Steiner hadn’t yet written his historic music score. Taking over the Riverside Fox Theatre, they interrupted a double bill of “Hawaiian Nights” and “Beau Geste” and informed the audience that the show had been changed and that they couldn’t tell them what they were about to see, so if they wanted to leave, do so [now] because once the show started the doors would be locked. No one left. Once the title page came onto the screen, the entire audience roared in applause, hoots and hollers. The feedback was remarkable with many audience members commenting that it was by far the best film that has ever been or will be produced. Younger women in the audience immediately connected with the powerful Vivien Leigh and took to the character with compassion and intrigue. While the film still had a ways to go before it was cut down to the most reasonable run time they could possibly get away with, one major hurdle still existed and everyone was nervous that they might not get their way: the final line of the movie. Movie censors didn’t welcome the idea of an actor “cursing” in a movie but the final line of the book absolutely had to be the final line of the film or it would be all for naught, so Selznick fought hard and the film ends the way it should, with that famous Clark Gable delivery of “Frankly my dear, I don’t give a damn.” History was made. 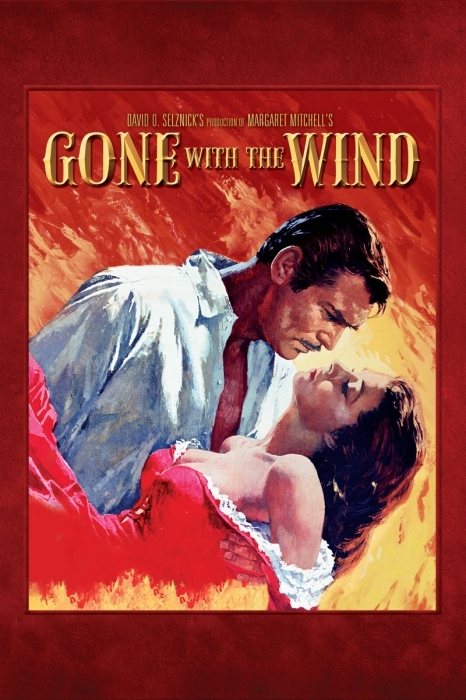 Gone With The Wind premiered in Atlanta at the Loew’s Grand Theatre on December 15, 1939, an event that lasted three days and consisted of multiple social gatherings, parties, parades and the back patting of movie stars, politicians and other dignitaries. The event brought in over a million visitors to the city and Jimmy Carter once commented that it was the biggest event to happen in the south in his lifetime. I love this film. In the late 1980s a theater near my home would show famous films along with the current releases and I had the opportunity to see GWTW on a big screen. What an experience. I also enjoyed a TV movie from 1980 called The Scarlett O’Hara Wars. It was about the casting of Scarlett and the film portrayed it as a rollercoaster event with every actress known to the world employing all kinds of schemes to get the part. I don’t think I blame them. Thanks for a great post. My wife’s favourite film, she is desperately trying to get me to watch it. I will one day! Incidentally I also have the framed movie poster for this in my living room as well! Literally my favorite film ever. I have a shrine to it in my house. I find the making of this film almost, if not more interesting than the film itself. I really enjoyed learning more about the backstory to this film! I’ve only watched it once, but I remember that the quality surpassed many of the films made today. Eric, thank you for an informed an intelligent review, of academic standard. It is easy to forget the impact of this film at the time, and you have rightly highlighted its importance in film history. When something is shown constantly on TV, truncated, or disturbed by frequent advertising, the overall effect is normally diminished. I was lucky enough to see this film in the cinema (in the 60’s) in full widescreen presentation, with intervals, and it was majestic. There may be many aspects that seem incongruous to the modern sensibilities now, but as a sprawling historical saga, with some riveting central performances, it has few equals. great article. is it true that the set that they burned for the atlanta burning scene was the set from King Kong? i seem to recall hearing that it was. Hey Niall, I haven’t been able to obtain any kind of confirmation on this, but if the set from King Kong happened to have been stored on the same lot, then it is indeed quite possible! The burning of the sets were more or less to make room and the filming of it was an off the cuff idea (although I do not recall at this moment whose idea it actually was). i looked it up; apparently they burned the remnants of several film sets, including King Kong. I loved reading this. This is my favorite movie. I remember being young and being told that I should watch this movie and with the length, I thought yeah right…but was I glad I did. I have seen it more than a dozen times now and when the 70th anniversary set came out a couple years ago you bet I got a copy! This was a wonderful review that really captured everything great about the movie. I really enjoy reading your reviews!